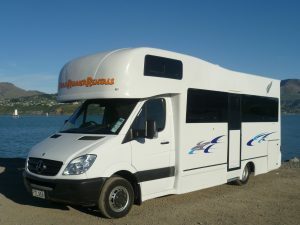 Road Runner Rentals has a wide range of campervans available for hire from our Auckland depot. Campervans are the perfect way to tour New Zealand, offered unrivalled access to all the beautiful places and scenery New Zealand has to offer. A lovely little coastal hamlet at Omaha, off the beaten track with a wonderful sense of peace, a great place to relax and reflect. Time to drive: 70 minutes, about 85km via the toll road. East of Auckland lies this beautiful piece of New Zealand coastline, it’s an easy drive from the East side of Auckland but is well worth the trip from throughout the Auckland region. Scenic and peaceful it has one of the prettiest coastal roads in the country. Time to drive: About 2 hours, It’s about 100km from Howick via a loop through Maraetai, inland to Clevedon and back through Brookby. Drive from Titirangi at one end to Swanson at the other, through the bush-clad Waitakere Ranges, while enjoying some of the best views available of Auckland and its harbours. Time to drive: One-and-a-half-hour round trip if you didn’t stop, but you’ll want to. The round trip is about 80km. We can also arrange drop-off or pick-up from other locations – please contact us to find out more. 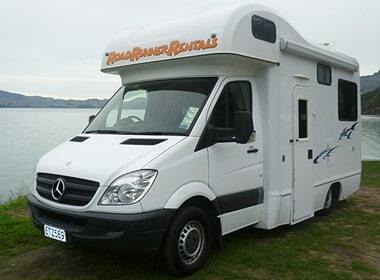 View our full range of 4 Person Motorhomes available for hire in New Zealand. 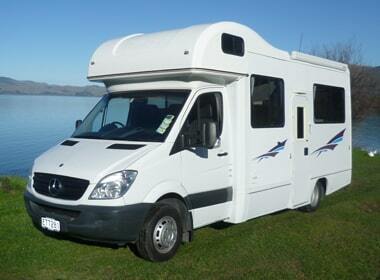 View our full range of 6 Person Motorhomes available for hire in New Zealand.